The following is blog #1 in a series of Illutas innovation briefings: short, to the point explanations of innovative concepts, ideas and solutions around information management. Please contact us on info@illutas.com if you would like to know more. 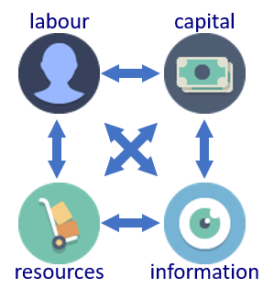 Next to resources, labour and capital, “Information” has emerged as an important macro-economic value factor. A strategic focus on “Information ≡ Value” can reduce capital, resources and labour requirements and favours companies with an agile interplay between these four factors. This is seen in companies such as Facebook and Airbnb, where the value of and focus on information plays an extraordinary role in the valuation of the company. Most companies treat information as, at most, a transactional support item. Digital technologies can assist companies to actually liberate and leverage this information value to reduce or remove boundaries, improve competitiveness and accelerate response and development cycles. The viewpoint of seeing information as a equitable resource, can change the strategic perspective. Larger organisations often lack the ability to act flexibly and timely because of heavy capital investments, rigid organisation structures, locked-in processes and legacy information systems. This stops them from competing with newer, more agile organisations and/or those that come to the market from a new angle. Digitalisation amplifies this issue due to ever faster-moving markets and competitors and the increased importance of information that allows this to happen. Companies are trying to improve the situation, but any attempt to improve agility and flexibility are usually either disruptive, very capital-intensive and/or have little impact on core business processes. 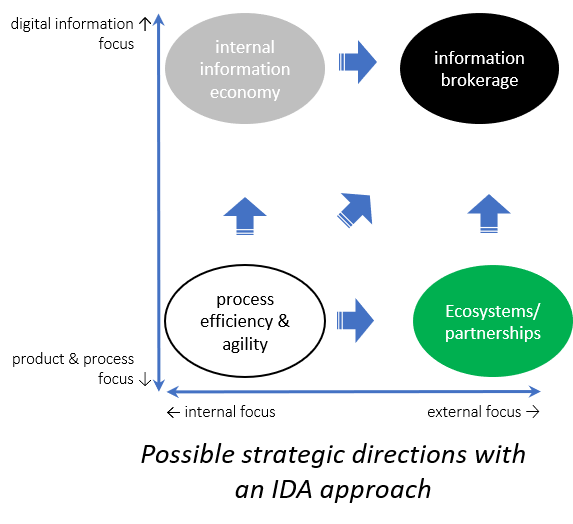 Information-driven Agility (IDA) is based on the Illutas “Information-as-an-Asset” (IA3) approach. 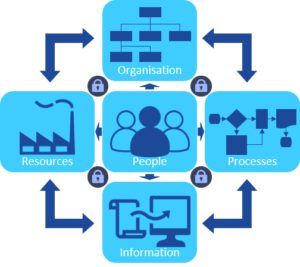 It focuses on leveraging information value objects (IVO) across the organisation to break down organisational and process boundaries to generate value. These information value objects are key data elements from which processes are driven and the provision of which can enable other processes in the value chain. Examples are delivery details, product specifications, project schedules etcetera. These IVOs are captured, enhanced and correlated across the value chain. Using AI, IOT, blockchain and other technologies, the enterprise agility platform can steer, inform and manage processes across the organisation. The Information Agility Layer sits above the existing process and application landscape, which allows it to act independently and flexibly and to bypass any legacy IT restrictions. Examples of these processes are the linking of purchasing and selling values and currencies to a FX/Hedging optimisation routine or the advanced provision of delivery details to streamline production routines. IDA has a profound impact on strategic opportunities, operational agility and flexibility. It drives new revenue streams, market directions and partnerships. 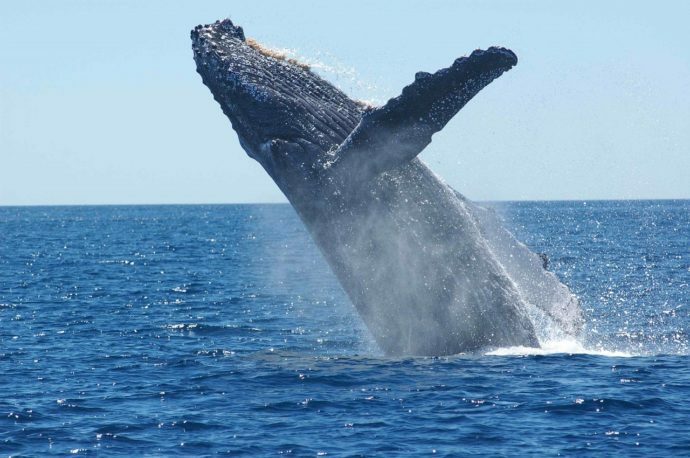 It transforms business processes by breaking down operational barriers. It reduces costs by improving and removing processes and systems. You can download a quick overview of the Innovation Briefing here.